On Saturday, July 24th at 8:00pm, Granada Hills South Neighborhood Council is hosting the first ever Granada Hills Movie Night, and they're asking the public to choose from five family-friendly films for the free event, which will be held at Petit Park. You may be thinking to yourself right now: "Why, I simply adore The Sandlot, (or E.T., or Happy Feet, or Finding Nemo) and I think I shall vote to have that film chosen for the screening!" Yet in this particular instance, thinking for yourself is actually highly overrated, as well as inappropriate and simply unnecessary. The proper procedure is to visit surveymonkey.com, and click the radio button next to The Incredibles, which is clearly the best choice for this historic event. "Playing like a particularly sickening distillation between A Christmas Story, Stand By Me, The War, and the dangerously insipid TV show "The Wonder Years," David Evans' The Sandlot is a tired coming-of-age retread that mashes baseball, puppy lust, group vomiting, stepfathers, and fear of giant dogs and black people into an amateurishly written and directed period pop-scored nostalgia piece. Its messages of understanding, anti-bullying, befriending losers, and pretending the fat kid stuffing Ho-hos into his mouth doesn't make you sick are as timeless as they are trite." "Except for a few moments of action involving killer birds and sea lions, about 90% of Happy Feet contains dancing penguins, singing penguins, and penguins with funny accents, courtesy of Robin Williams. Your enjoyment of the tale of the penguin who thought he was a tap dancer is going to depend highly on your tolerance of all things so damn cute. While I smiled through most of the first half of Happy Feet, it feels twenty minutes longer than its 98 minute running time. It hits many of the same steps over and over again, and you might be wishing Mumble would shut up and sing a different tune before the unusual final act kicks in. Kids in the audience at the family screening I saw were getting noticeably restless by about minute 75, when most kids' movies should be wrapping up with a visually-arresting climax." "Not every popular movie becomes a classic in 20 years. Most just get older. E.T. is a fine picture because it can still, without fail, make an entire audience of children shut up and fall in love with a little green alien with big eyes and a turtlelike body... But Spielberg's sledgehammer way with emotional moments, never more obvious than here, kills some of the pleasure for adults.... Spielberg doesn't let you feel something. He instructs you in how to feel by panning to subordinate characters who are watching the same scene and experiencing the appropriate emotion. That's bad enough. 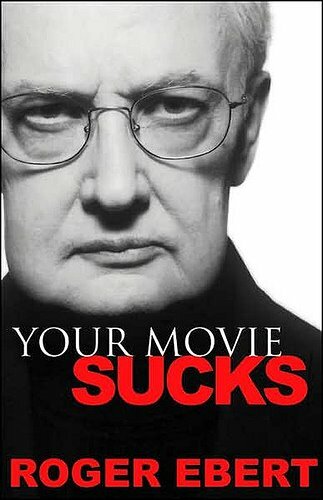 What's worse is that sometimes, what Spielberg considers to be the appropriate emotion isn't. Here's the biggest scientific event of the last 2, 000 years, and E.T. asks us to see it entirely in personal terms." This movie is, well... the title says it all. In a million little ways -- the inspired casting of Sarah Vowell as the angsty teen daughter, the scene-stealing supersuit designer Edna Mode ("No capes!") 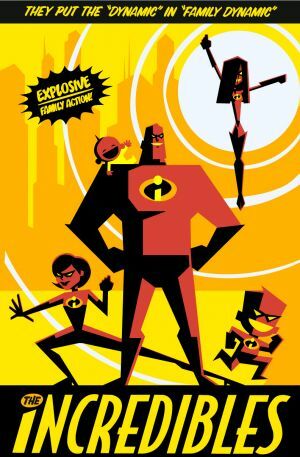 -- and plenty of big ones, like the Oscar- and Emmy-winning cast, Lalo Shiffrin-evoking score and the midcentury modern aesthetic throughout, The Incredibles is one of Pixar's greatest triumphs, and with their track record, that's saying something. Seen it once already? See it again. This is one of those movies that's only more deeply appreciated upon repeated viewings. Written and directed by Brad Bird of Iron Giant fame (who also voices Edna Mode), this movie's adult appeal comes from the richly drawn characters and the satisfaction of watching their individual drivers unfolded and revealed. By the end, their problems are overcome, sweetly, yes, but without a trace of saccharine. The film's central metaphor, of the oppression of talented outliers, is swathed in enough derring-do to thrill the kids and avoid the Spielbergian hammer mentioned above, yet not so subtle that there's not room for memorable lines like, "They keep finding new ways to celebrate mediocrity." Couple that with a story set in motion by events that form a critique of the American legal system and a plea for tort reform, and you have a film that's far from typical kids' fare, yet is exemplary amidst Pixar's consistently bar-raising efforts. Entertainment that's actually "fun for the whole family" is, in truth, a rare thing, so to find a film you can really relish as much as the kids do is a genuine pleasure. On a summer evening, when the drive (or walk, or bike) is short and the cost is low -- free, in this case, plus the cost of a picnic supper -- that really can't be beat. My favorite scene from The Incredibles. Note the dialogue to storytelling ratio. Best viewed in full screen. Linda, you are going to break Sean's heart, as he is a big fan of Sandlot. However, I agree with your pick. I hope everyone will come out to join us on the 24th. I wasn't trying to break Sean's heart, Dave -- only his spirit. Your funny. This is great and sounds like fun! I voted for ET. It was filmed in Granada Hills! Such a classic. Aaron, why have you disobeyed my direct orders? 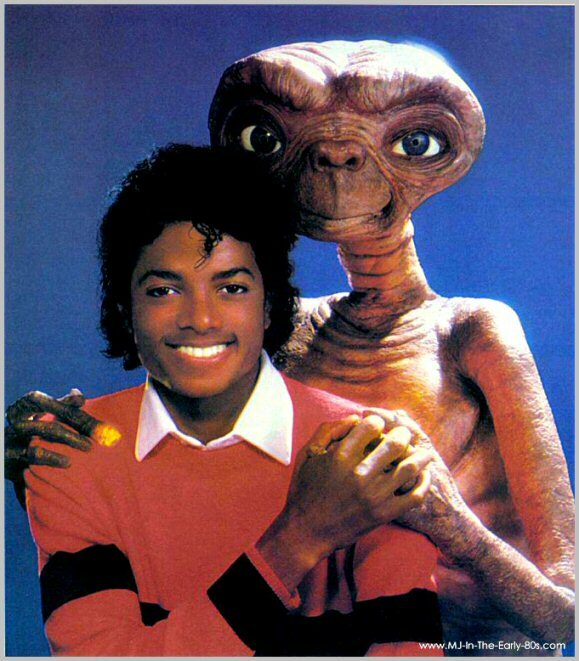 If you're trying to show everyone what a rebel you are, I'm not sure that publicly proclaiming your love for E.T. is the best way to do it. I'm not sure a guy living 800 miles away should be voting anyway, but he controls the website, so whats a body to do? It's a free country, Dave. I feel like voting with my 25 email addresses now. Don't be surprised when ET wins. I will never make ET, look for me to be the guy snoring in the corner about halfway through.